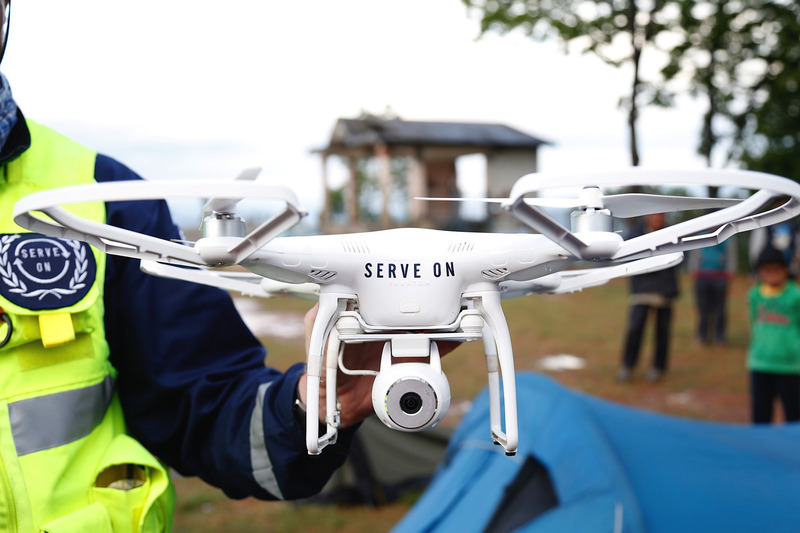 Drones are rapidly becoming an integral part of many disaster relief operations worldwide as governments and NGOs wake up to their enormous potential for saving lives. Non-governmental organisations and state emergency services have been quick to take advantage of unmanned aerial vehicles (UAVs) due to falling costs and a greater awareness of the versatility and accessibility they afford. These advantages are revolutionising a range of crucial responses in the aftermath of earthquakes, hurricanes, flooding and avalanches as well as general search-and-rescue capabilities where manned-aircraft would experience difficulties accessing target areas. The unparalleled access offered by UAVs means assessment and resource allocation can be undertaken almost immediately following a natural disaster. This area is being explored by NGOs such as the Australian Red Cross which has teamed up with humanitarian tech expert Dr Patrick Meier to research the use of drones in disaster management. The project came about following Cyclone Pam, which swept through the remote South Pacific archipelago of Vanuatu in March 2015, flattening houses, destroying crops and severing telecommunication networks with the outside world. Due to the lack of ability to communicate with the 80 or so islands which make up the tiny nation, it was initially impossible to assess the extent of damage in specific areas and allocate resources accordingly. Boats and helicopters had to be chartered in order to survey and photograph before field teams could return to the capital of Port Vila to share their findings. Finally, response teams could be deployed in a way which maximised limited resources. Dr Meier and the project team have been looking at a number of functions which could be carried out by UAVs including disaster risk reduction, preparation, recovery and reconstruction. Aside from the response to natural disasters, UAVs are proving an invaluable addition to the capabilities of search-and-rescue missions around the world. From missing hikers on potentially-treacherous mountains to migrants attempting to cross the Mediterranean in unseaworthy craft, operations which involve surveying large tracts of land or sea for people in distress are a natural fit for the capabilities of UAVs. Park rangers and mountain rescue teams everywhere from the Scottish Highlands to the Grand Canyon have been keen to capitalise on the practical and cost benefits of employing drone technology. Due to the complexity of drone usage and risk analysis, operators of UAVs should work closely with an organisation experienced in drone insurance. Risk profiles for drone usage can be calculated based on a variety of factors including numbers of flight hours, type of use, the operator’s experience, area of use, value of the aircraft, and Liability limits required. Osprey Insurance Brokers, based in Malta, specialises in insurance coverage for both commercial and governmental use of drones. Osprey Insurance Brokers Co Ltd is licensed to conduct insurance broking and is regulated by the Malta Financial Services Authority.